Jester’s Wild provides a lot: huge amount of entertainment, nice-looking design and head-spinning rewards. It has been around since 2014 so it isn’t exactly fresh out of the box but it is still just as fun to experience as it was back in the day when it gave its players so much joy in the form of money and positive emotions for the first time. Jester’s Wild game has five reels and 30 paylines. Usually the smallest value of a coin available is 1 cent and the highest is 5 dollars. You can bet with just one or as many as three coins for a single payline. The smallest wager possible is just 1 cent but the biggest possible can reach as high as 450 dollars for a single spin. Basically you can either attempt to do the very encouraging calculations to figure out just how big a win can be or you can just leave it to the game to surprise you pleasantly when you hit the bull’s eye. This humongous range is created so that the game can adopt the styles of as many as players as possible-the ones who like to play safe and the ones who love to bet big. The wild symbol in the game is not surprisingly the Jester one. It has the ability to replace all the other symbols apart from the scatter one. In the case of Jester’s Wild the wild symbol can show up on all five reels which gives you much more opportunities than most games you can think of. There is also the red Jester symbol which is the key to activating one of the game’s bonus features. You need the symbol to appear at any spot in the middle reel and the Jester Bonus will be activated. Four random symbols will be selected and replaced with wilds and you will have five wilds in total which in all likelihood will deliver you a reasonable reward. Players can make use of this particular bonus during the free spin feature as well. As far as free spins in Jester’s Wild are concerned, they get initiated when three of the scatter symbol, which is the Wheel, show up after a spin. After you have unlocked the free spin bonus you will have to make two choices. First you will decide what the multiplier will be and then the number of the spins. If your luck works at its best you might end up getting 32 spins in which everything gets multiplied by six. And the third bonus game is called Spin-Up Your Win. Players can choose whether to play it. Once activated by the player, he or she can multiply the winnings after a spin five times. The thing is, there is a risk of you losing that spin’s earnings entirely so only the ones who are feeling lucky should use it. 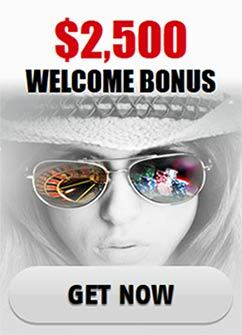 As if three awesome bonus games are not enough, consider the following: the limit for Spin-Up Your Win is 60 000 dollars. If you get lucky after taking the risk with that sum of money you can end up with 300 000 dollars after a single spin. It is risky, yes, but that’s why this game is kind of perfect for everyone. You can either play safe and be happy or you can risk and maybe end up being crazy with happiness.